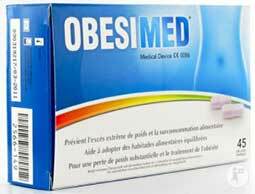 Obesimed is a European appetite suppressant that’s sold under a number of different brand names. It’s manufactured in the Netherlands by PK Benelux. The company is a subsidiary of Peters Krizman AG and distribute their products under their own brand name, Lucovital. The health and wellness supplements manufactured by PK Benelux are also available as private label products. This means other companies have the opportunity to re-brand them and sell them as their own. There isn’t really a great deal of information available about Obesimed, but it apparently has the ability to soak up a large volume of water. The result is a “natural substance” that fills the stomach and induces satiety. This makes it easier for people to eat less food because it no longer takes so much to stop them feeling hungry. When the pills are used with a calorie restricted diet the body should face a calorie shortage that primes it for weight loss by triggering the need to begin using existing stores of fat as a source of fuel. Such is the theory, but the truth of the matter is appetite suppression is seldom enough to procure good results. That’s the reason why so many appetite suppressing diet pills are designed to boost the metabolism as well. A faster metabolism burns extra calories 24 hours a day, and it’s easy to understand how this would increase the chances of weight loss success. Usage Instructions – Obesimed is designed to work as an obesity reducing treatment for people who are aged 10 and over. Adults need to take three (2 capsule) doses per day, before meals. Younger users can reduce this to two capsules, two times per day, if required. It’s important to wash down each dose of Obesimed with two large glasses of water and good results will only be forthcoming if the capsules are used alongside a calorie restricted diet. Some diet pills are intended to be used in cycles. This is the case with Obesimed and the recommended cycle is 30 days on followed by four days off. OMTEC 19 must be the power ingredient because the other four ingredients are only capable of providing colour, helping hold the capsule together, and assisting its breakdown when its inside the stomach. The big question is, what is OMTEC 19? The true manufacturer of the product fails to provide this important information and all the sites distributing it follow suit. 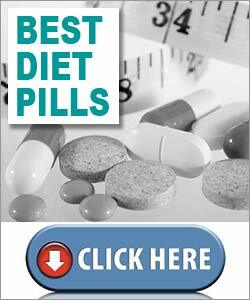 There’s a good chance it may be a standardized form of glucomannan, but there is no way to be certain and it does not seem right that dieters are expected to consume diet pills without knowing all the ingredients they contain. Will the pills be able to do what is claimed? If each dose provides 1g of glucomannan there’s a good chance they could pull it off. 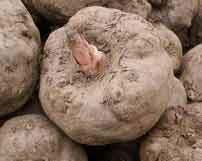 But do they contain glucomannan and, if so, is there enough? Obesimed reviews appear to be an equal mix of good and bad. No side effects have been reported, but until a day when more information becomes available about the main ingredient we suggest not using these pills without a doctor’s approval. Customers living in many European countries will be able to buy Obesimed from their local pharmacy or health food store. The product is also available from many leading European online stores and the price for a 126 capsule box ranges from €16 (£14) to €28 (£24). There is no manufacturer’s money back guarantee, but it’s possible some stores may offer their own guarantee. Customer reviews suggest Obesimed may not be a particularly powerful appetite suppressant. This is a fact that tends to make us doubt our original speculation that OMTEC 19 may be glucomannan. We were relieved when we did not find any reports of side effects, but the lack of information about OMTEC 19 remains a source of concern. Although it’s produced by a reputable company, we still have too many doubts about this product and feel duty-bound to suggest you try something else instead. 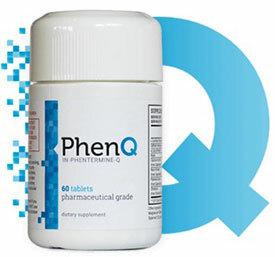 Our preference if for PhenQ a natural appetite suppressant that can also help to burn excess body fat and also stop the introduction of new fat cells. PhenQ uses pharmacy quality ingredients but is available to buy from it’s own official website without the need for a prescription.